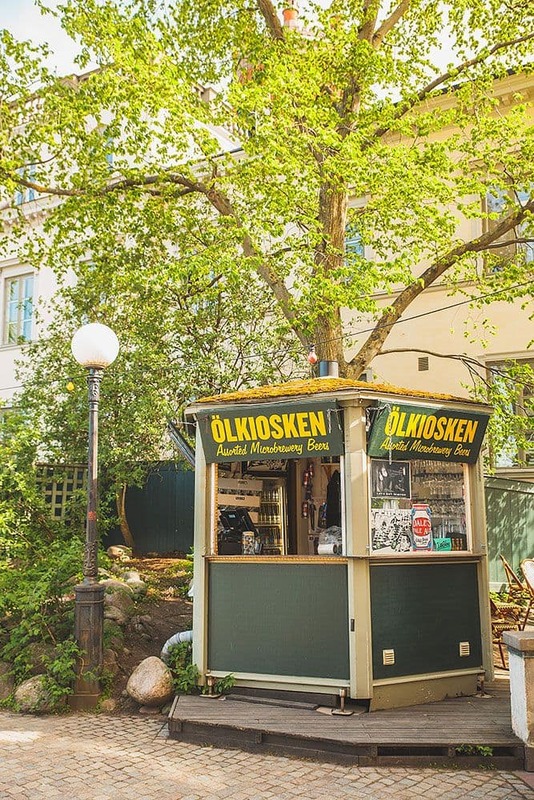 There's not much that beats enjoying the warmth of the summer sun at an al fresco dining spot. Who wouldn't want to kick off the weekend with something good to eat, a glass of wine, a cold beer or a tropical cocktail - and get some colour in their cheeks at the same time? 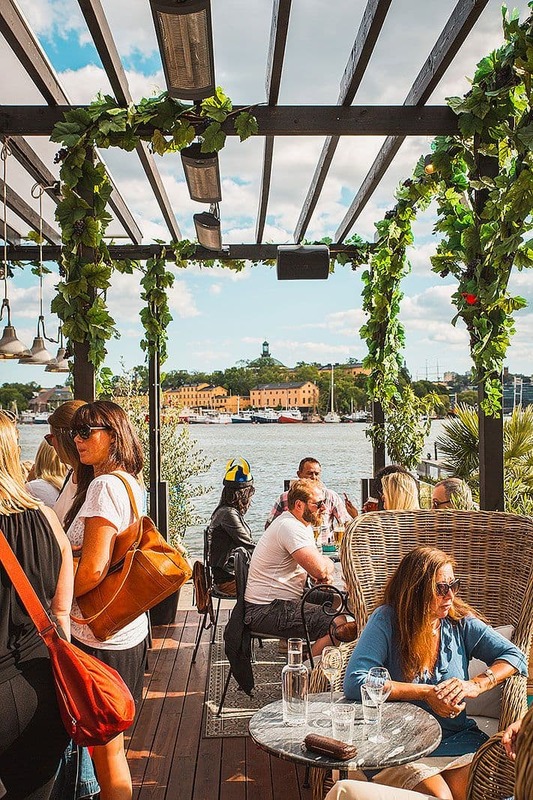 We've listed the best and biggest places in Stockholm to eat and drink outdoors, all with a summery, holiday feeling. 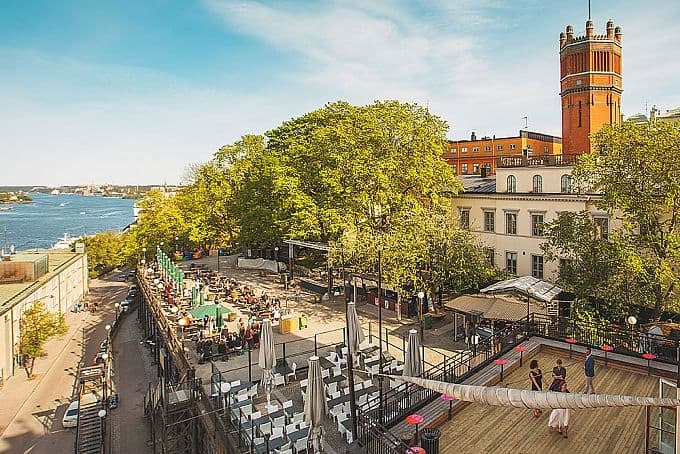 Södra Teatern's huge terrace, Mosebacketerrassen, draws in crowds with their live music, excellent mingling opportunities and views over the whole of Stockholm. Both locals and tourists make the pilgrimage here to hang out under the heavens. 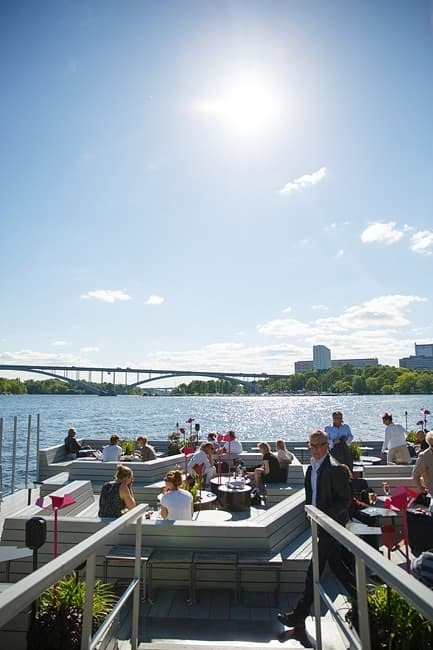 The terrace has capacity for 2000 people and has outdoor bars where you can refill your glass and buy simple snacks. 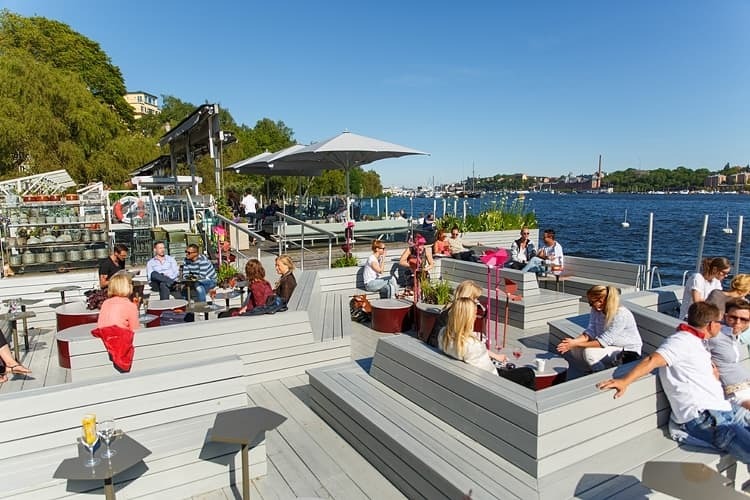 This pontoon alongside Norrmälarstrand opens early on in the summer and is a great place to hang out both during the day and on long, warm, sunset evenings. 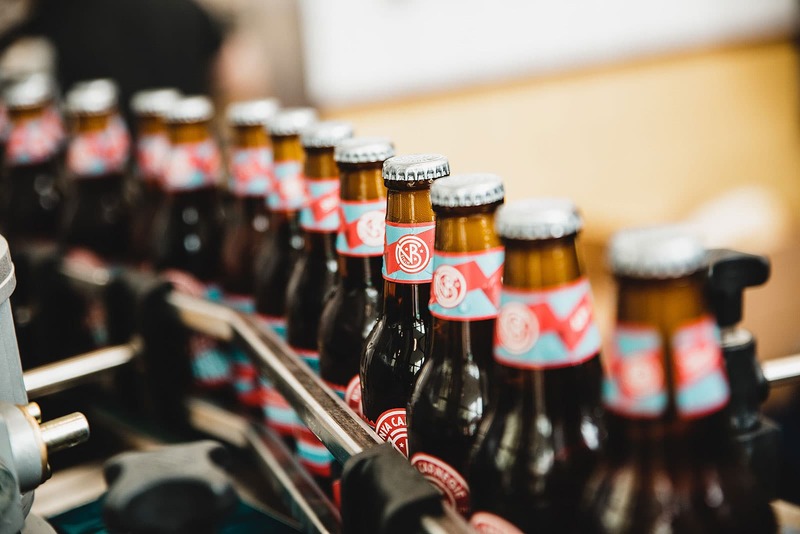 You can come for a coffee, eat lunch and dinner or just grab a drink at the bar. Cheerful, gay-friendly and very popular. The smartest spot in town? 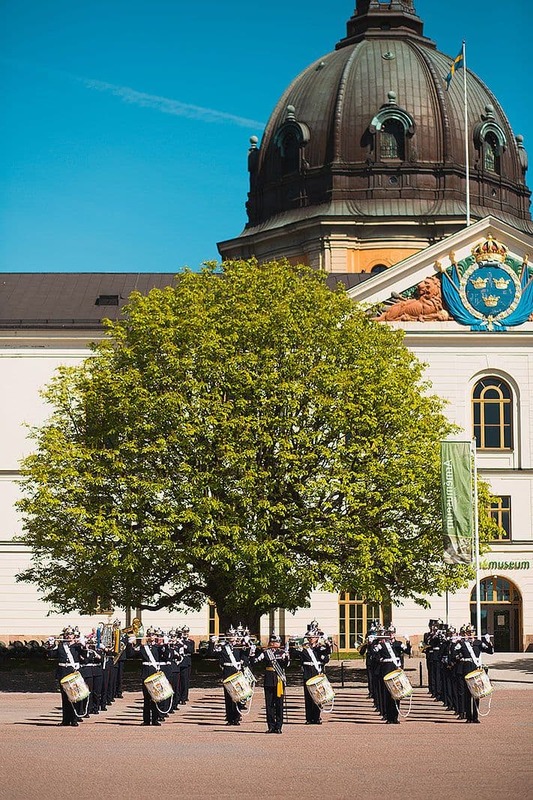 It doesn't get much swankier than at Stockholm's Opera house. The Strömterrassen terrace, on the south side of the opera house, has classic views towards the royal palace as well as an outdoor grill, cocktails, DJs and club nights. 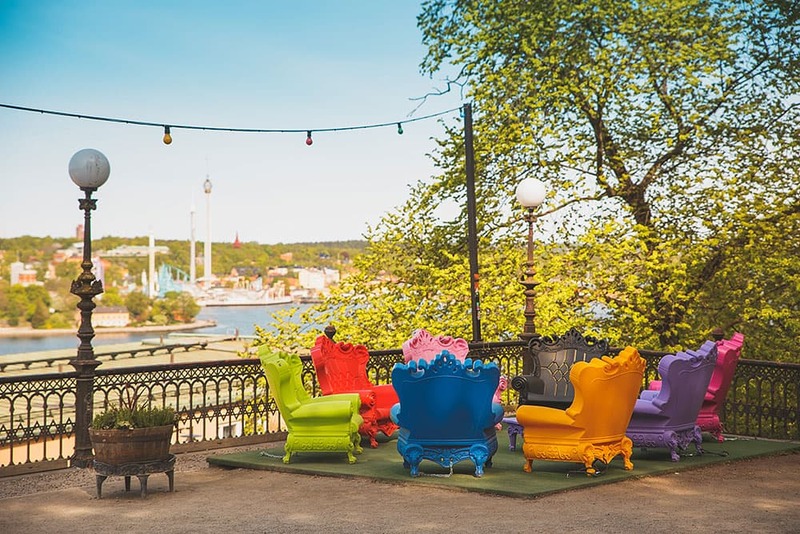 The Guldterrassen terrace also guarantees picture-perfect views, and you'll also get the evening sun here accompanied by classic Swedish dishes on the menu. 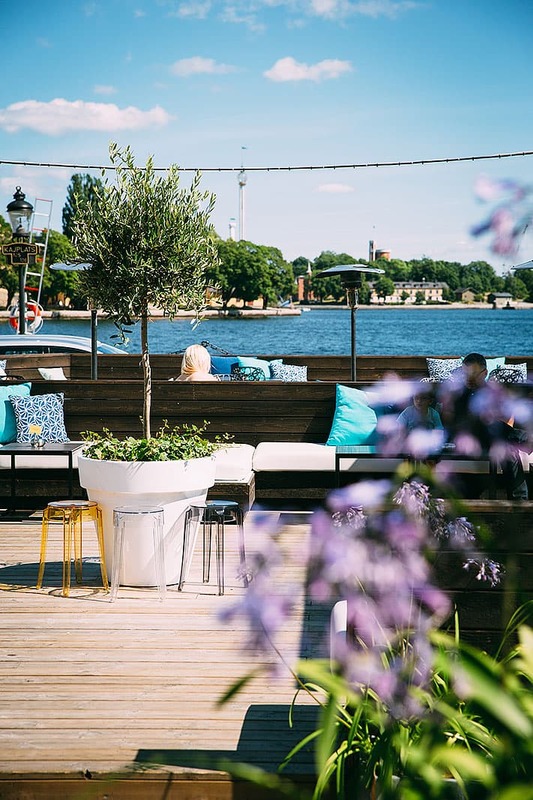 Tourists and Stockholmers alike throng to the Diplomat, where guests can enjoy a cocktail outside on the lounge-style terrace. And Strandvägen on a sunny afternoon has to be the ultimate spot in Stockholm for people-watching. 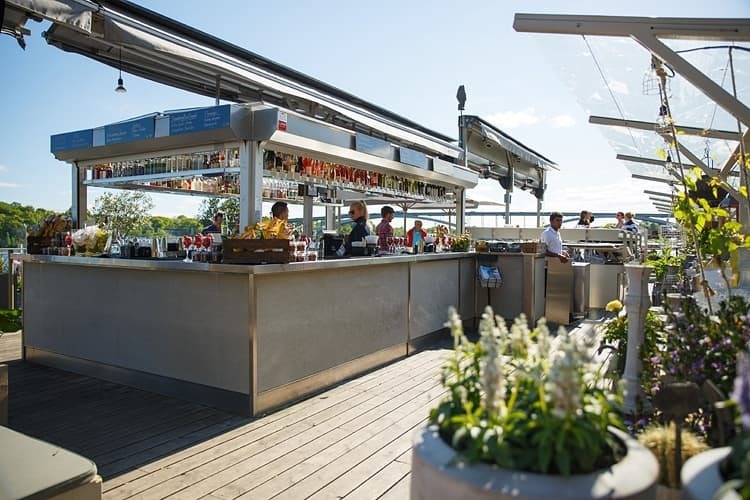 During the summer months, Tak opens out into one of Stockholm's very best roof terraces, with panoramic views over the city's rooftops. Long hours of sunlight and cooling drinks combine with stunning views. 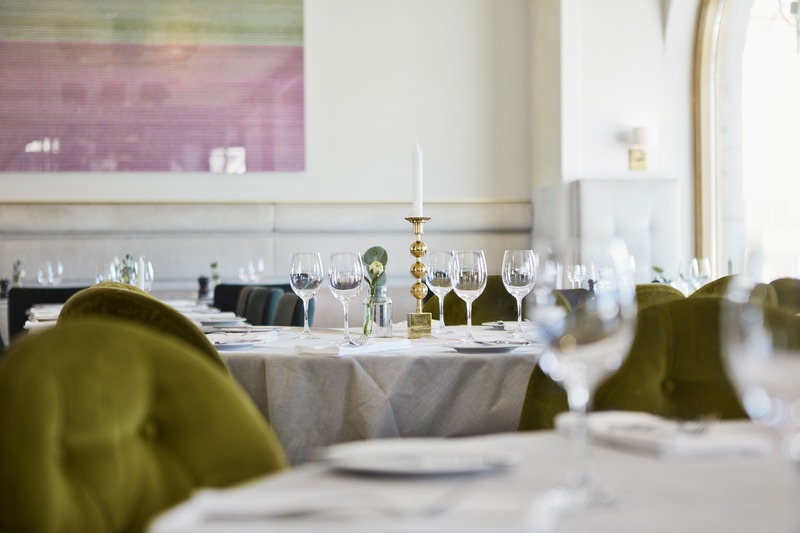 Book a table inside the restaurant to make your summer evening complete. 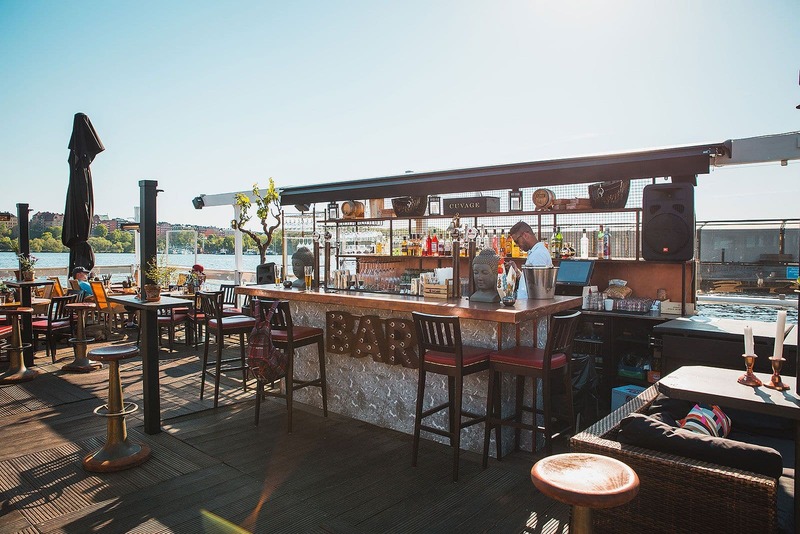 High up on a rock above Saltsjön, with a view over the island of Djurgården, lies the Stockholm gem Fåfängen with its huge outdoor eating area. The surroundings are green and leafy in the summer and the summer menu served during the warmer months is a great mood-lifter. 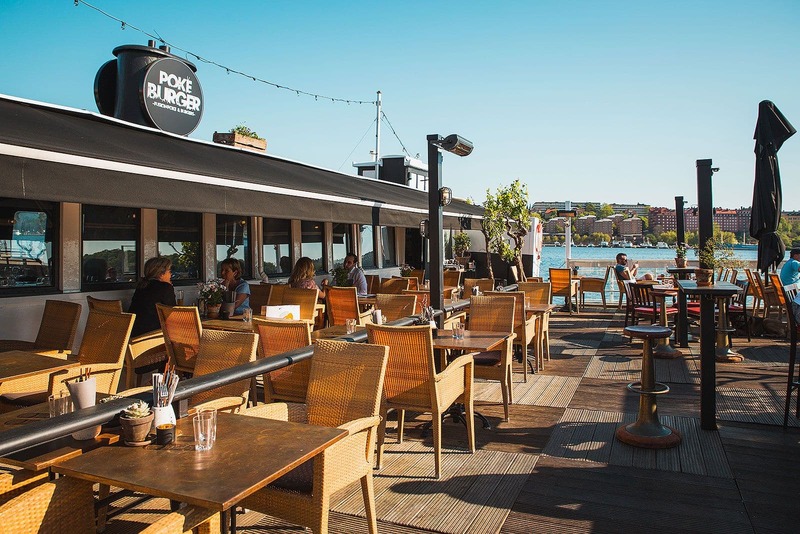 Just in time for the 2018 summer season, the fusion joint Poké Burger has opened up a sister restaurant on Norrmälarstrand, on a boat that used to be the restaurant Flyt. 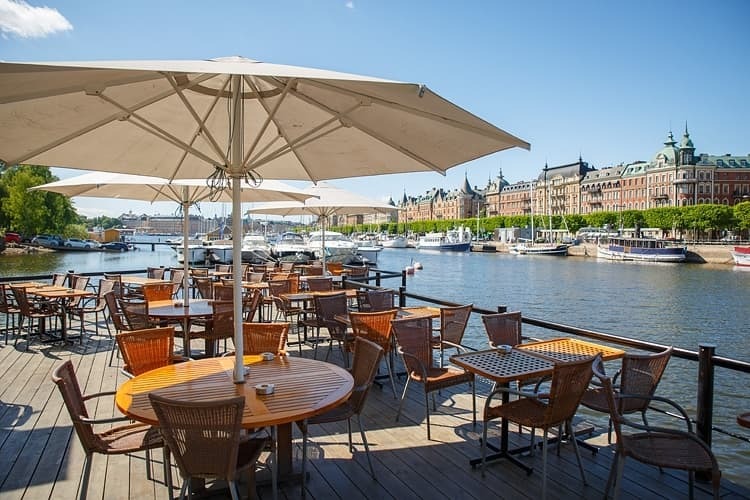 There are some 60 seats up on the deck for anyone in the mood for poké bowls, hamburgers or a cooling drink in the sun, with views over Riddarfjärden. 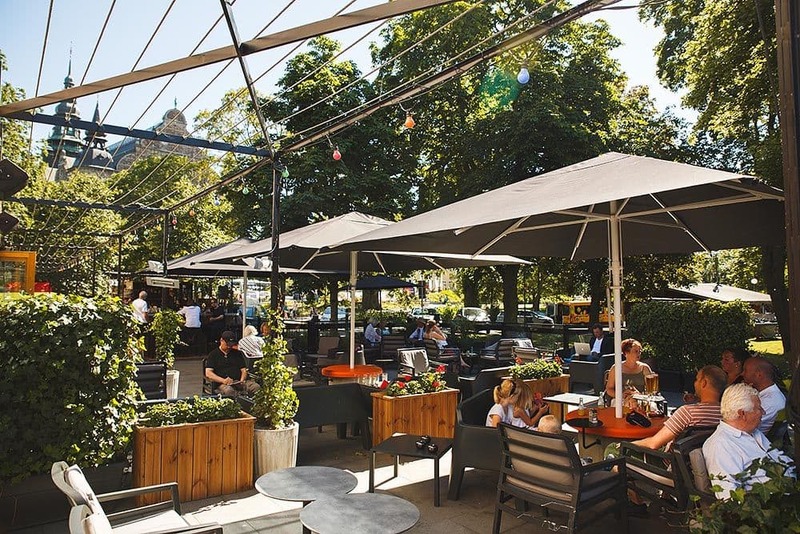 At Boulebar in Rålambshovsparken it's not all about boules - there's also a great eating area for anyone wanting to have a bite to eat or cool off with an ice cream or beer. And it's only a few steps to the water if you're keen for a dip. 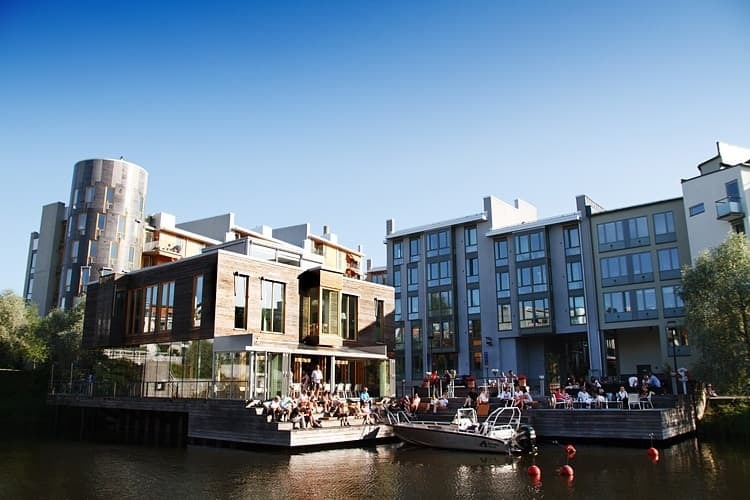 Restaurang Göteborg is on a jetty at the far end of Sickla canal. 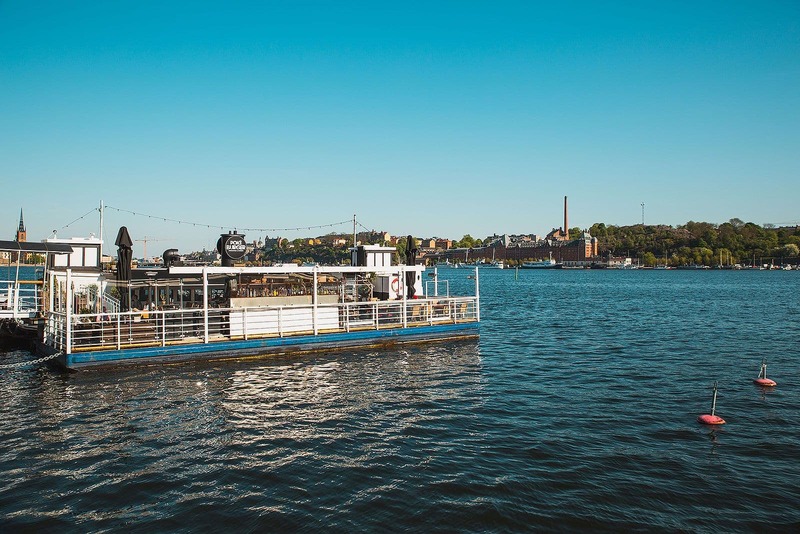 You can get there by both boat and tram, just like in Gothenburg. 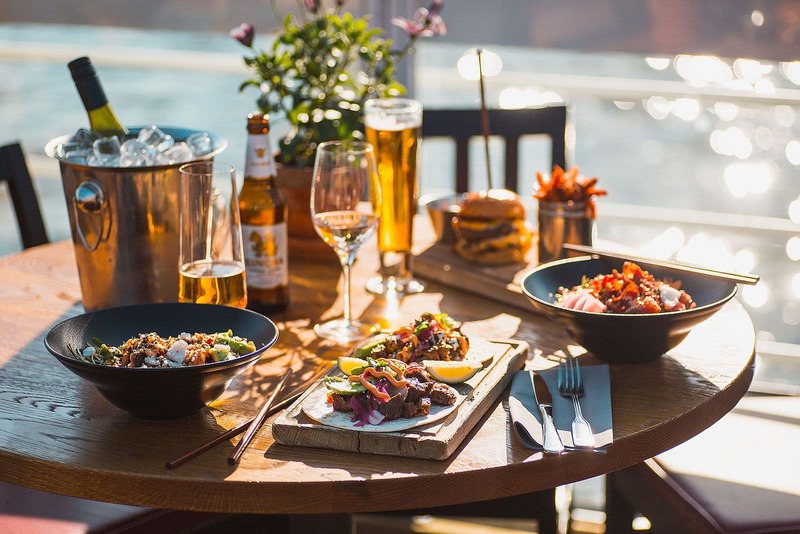 Enjoy the sunset while you have something good to drink and eat fresh prawns and other summery dishes. The atmosphere is fun and friendly and you can reserve a table. 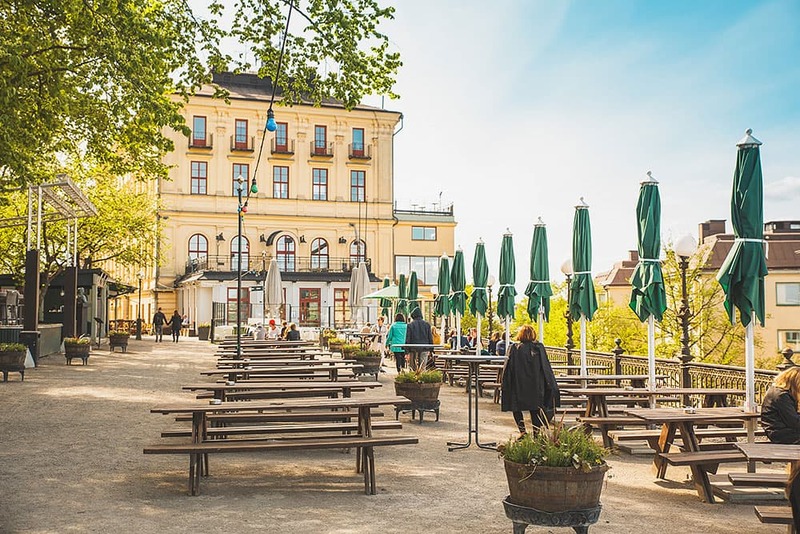 The terrace at Dramaten theatre right above Nybroviken is a popular watering hole on warm days and balmy summer evenings. 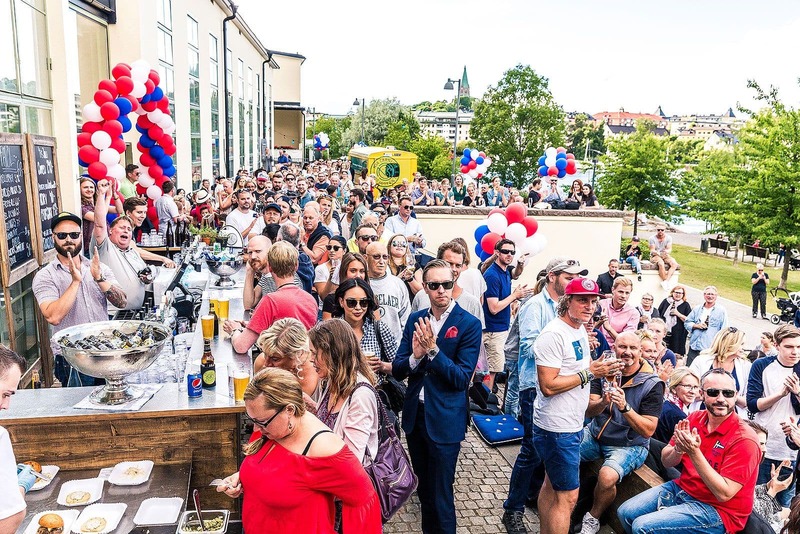 The terrace fills up with a mixed crowd who are happy to join the throngs to bag themselves a prawn salad and a place in the sun. 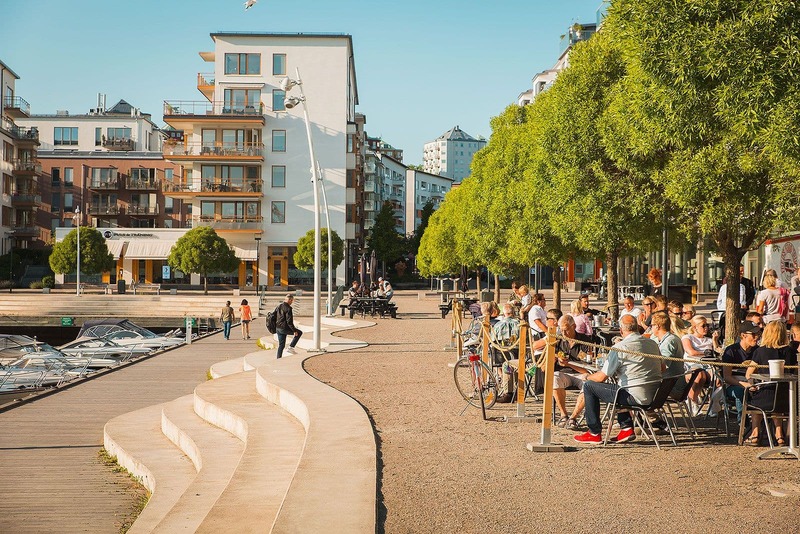 You'll find Cloud Nine's large outdoor dining area, with the fitting name Plaza Cloud Nine, by Norra Bantorget. They actually have their own mini square at their disposal. With a roof, bar area and sofas this sociable al fresco serving area feels more like an outdoor restaurant, perfect for both large and small groups. This is the kind of place the afternoon, or evening, can go on for hours. 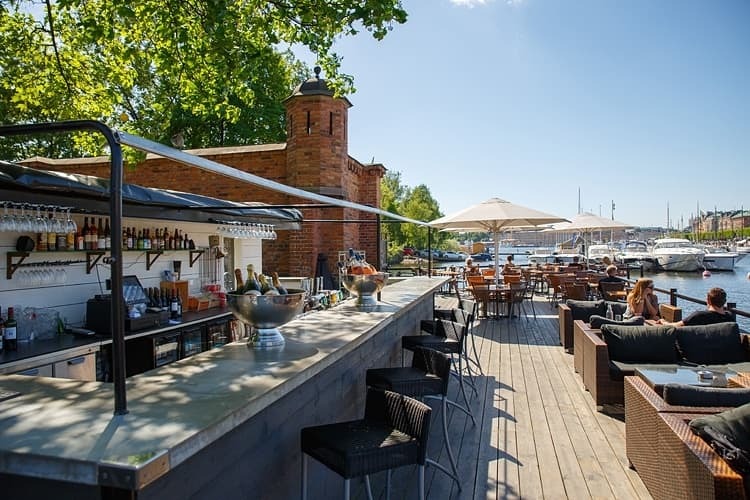 Josefina's terrace has space for 1000 guests with a prime location on the rocks right by the water on Djurgården. The palm trees, comfy sofas and lounge areas create an international vibe. 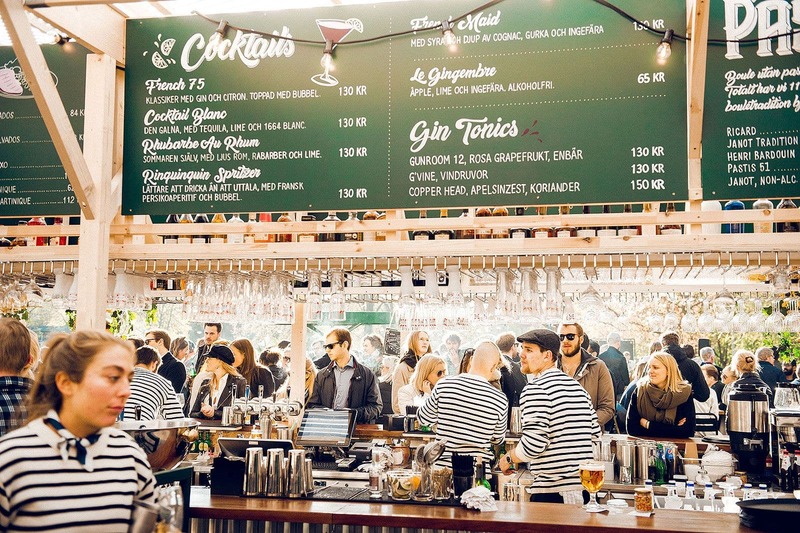 There are several bars and at weekends the cocktails and rosé flow like water. 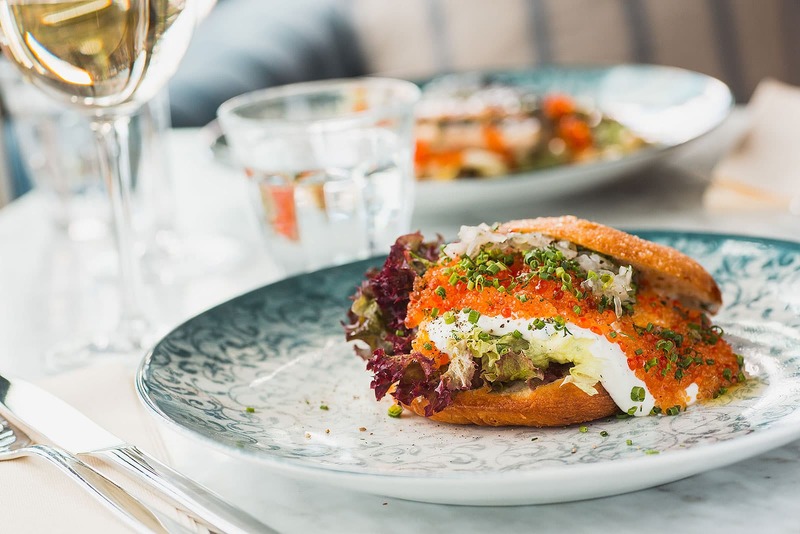 If you're hungry, there's both an à la carte and a bar menu. 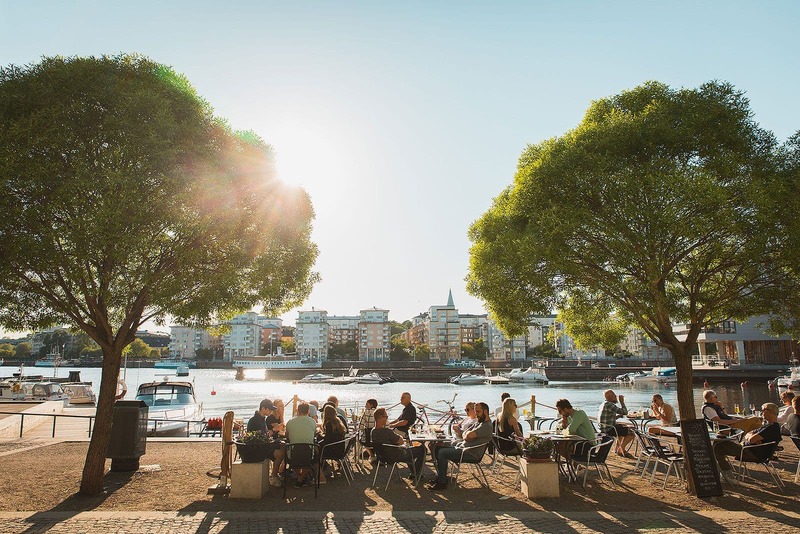 Alongside the bridge over to Djurgården you'll find one of the city's largest al fresco eating areas with an impressive view of Strandvägen. You can also hire bikes, kayaks, canoes or why not explore the summer city by pedalo? 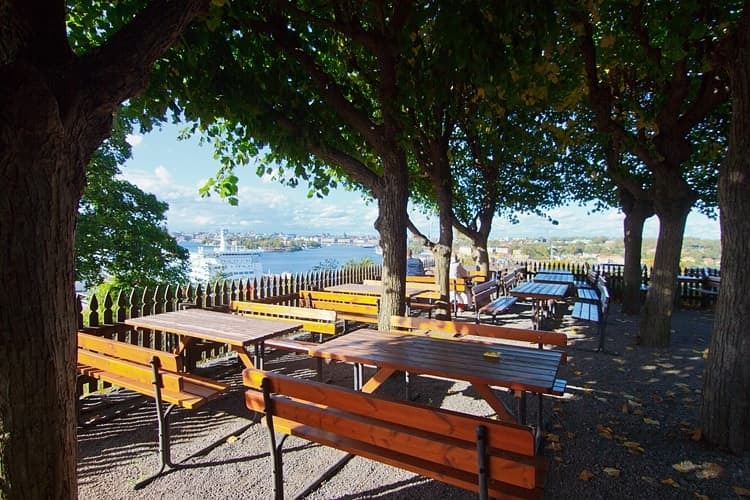 Round off your outing with a coffee, something to eat or a cold beer on the sun deck with front row views. 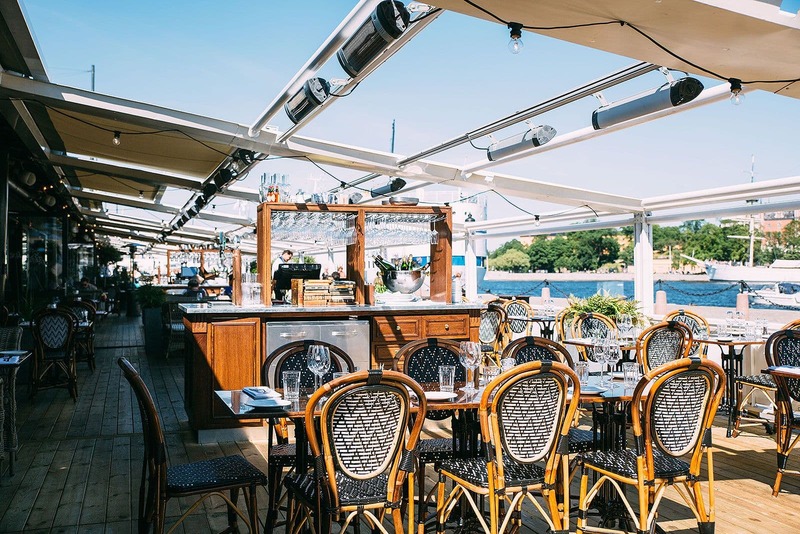 Housed in a former customs house on Skeppsbron, Mister French has continental-style fans and an impressive view over the entrance to Stockholm harbour. 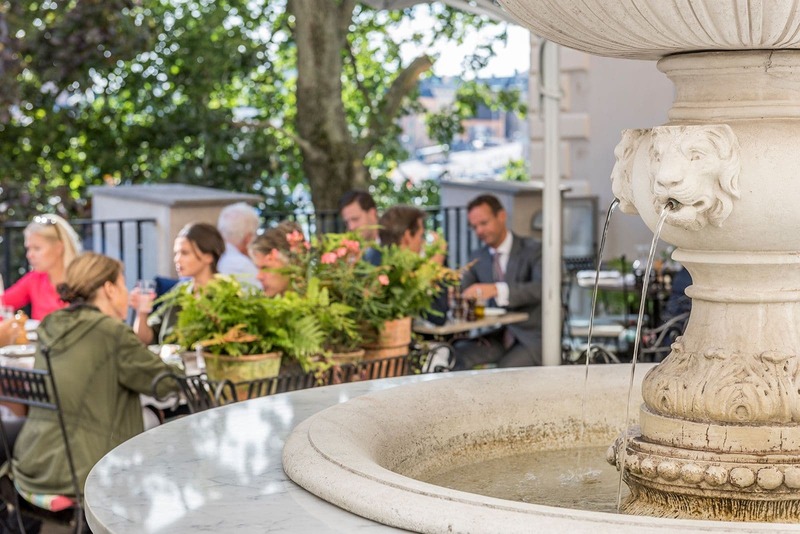 During the summer months the al fresco eating area is in full bloom and, when it starts to get a bit nippy, heaters keep the temperature pleasant into the small hours. 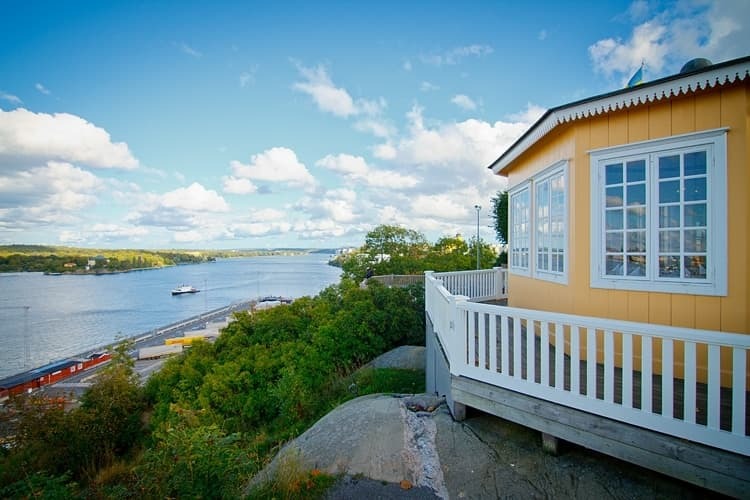 Bag yourself front row seats in front of the entrance to Stockholm harbour and breathe in the scent of the sea. 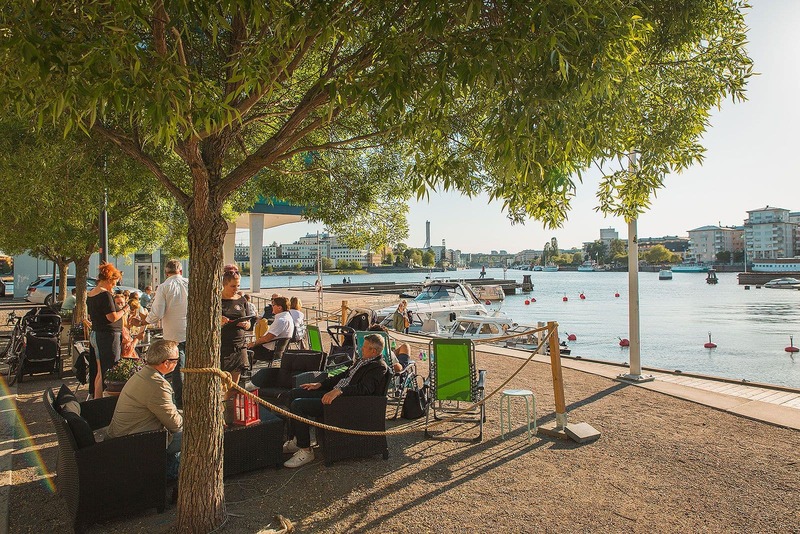 On Glashuset's outdoor seating area you're basically sitting right on the water, on the harbour along Strandvägen just a short walk from the city centre. Stop by whenever it suits, for a coffee, after-work drink, lunch, dinner or a cocktail. 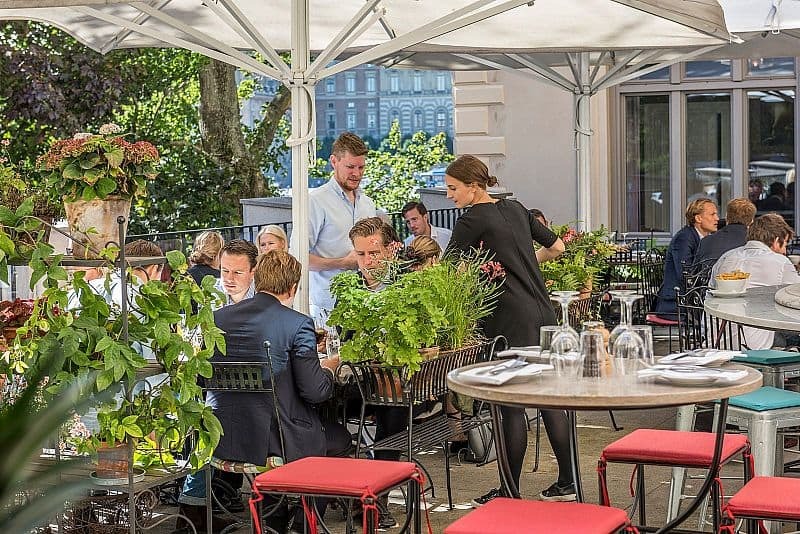 The popular Raw restaurant on Rörstrandsgatan pulls in the crowds with its great sushi - but they also come for its sunny (and spacious) outdoor dining area which is also perfect for a thirst-quenching glass of wine. 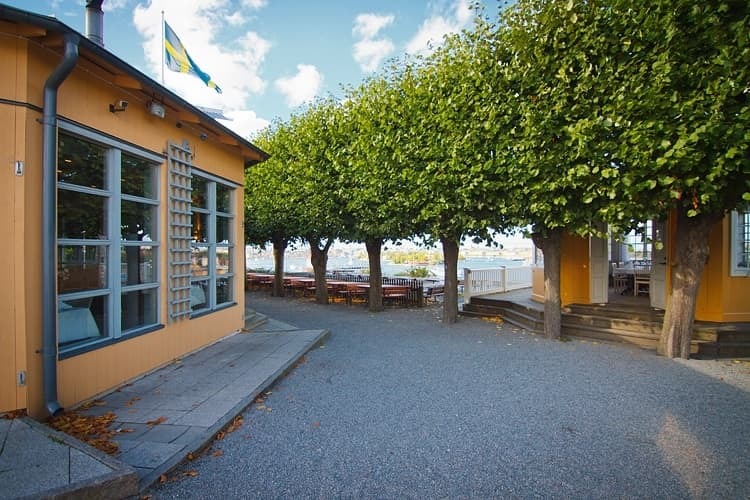 Its location on the corner of Birkagatan also provides fantastic opportunities for people-watching. 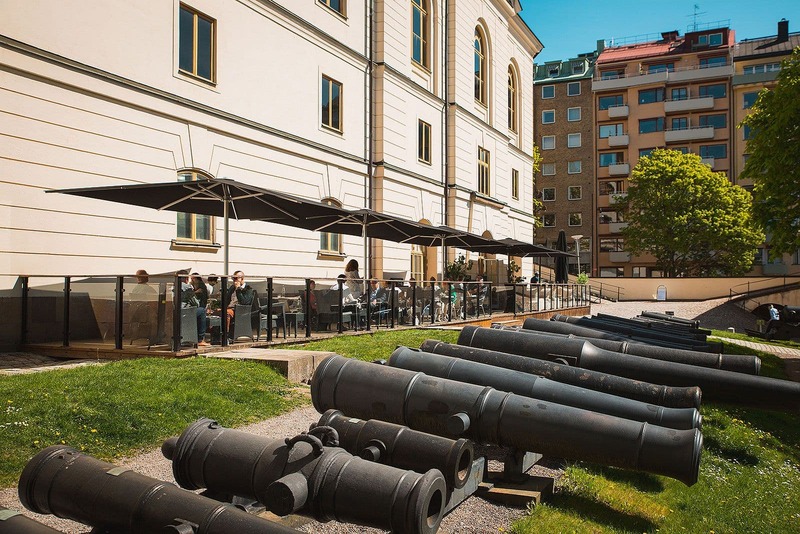 Artilleriet's al fresco dining in the leafy courtyard of the Army Museum is just a stone's throw from Stureplan and Nybroviken. Take a pew for lunch or an after-work drink - there are plenty of chairs and comfy armchairs to sit in. 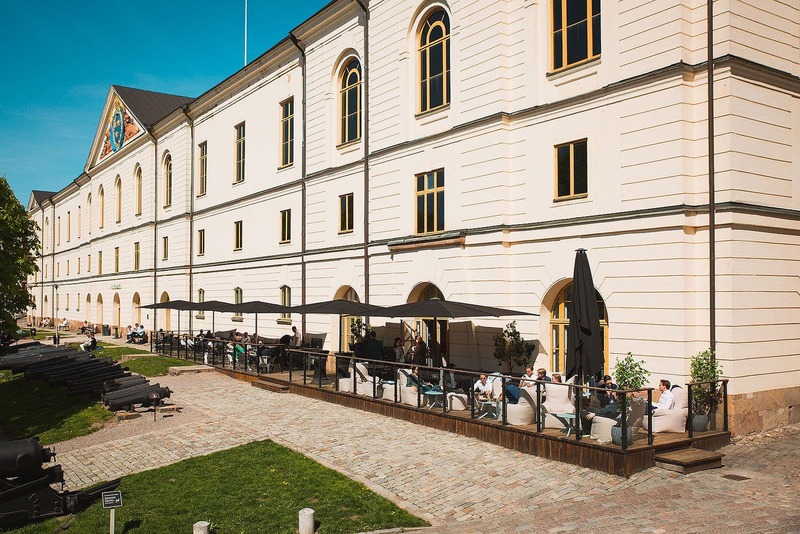 Lydmar's hidden outdoor terrace looks out over the Nationalmuseum and feels a little like a French arbor. Very popular among guests of all ages who want to enjoy the sun, a glass of wine and something to eat (lunch is served here too). 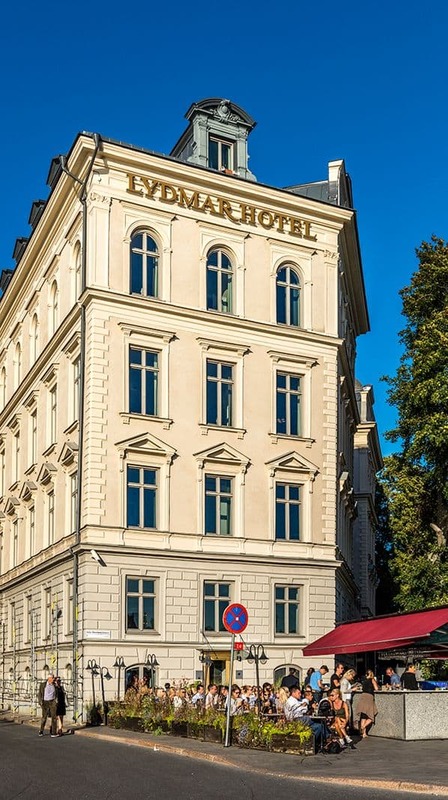 In front of the Lydmar there's another fabulous al fresco area with DJs and live music. 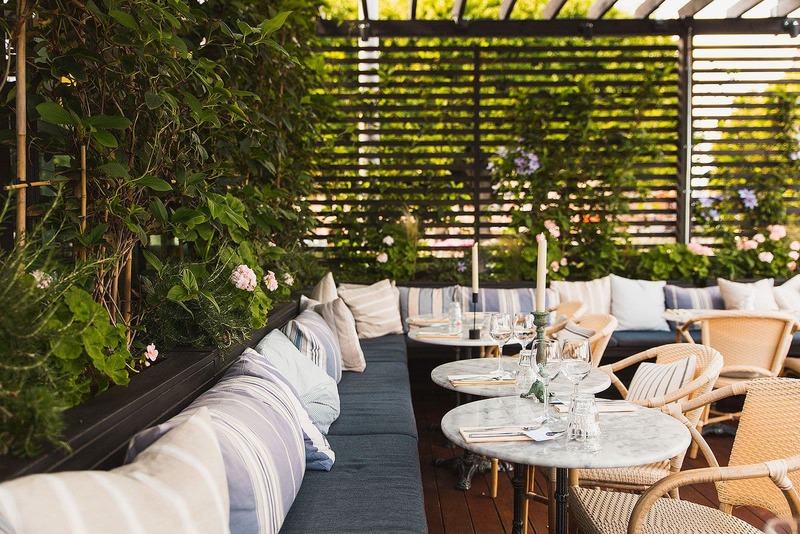 Hidden away behind Ling Long, at Story Hotel Riddargatan, you'll find one of Stockholm's most charming courtyards seating around 60 people, just a stone's throw from Stureplan. The restaurant is popular for their Asian flavours, cocktails and vegan lunch dishes. 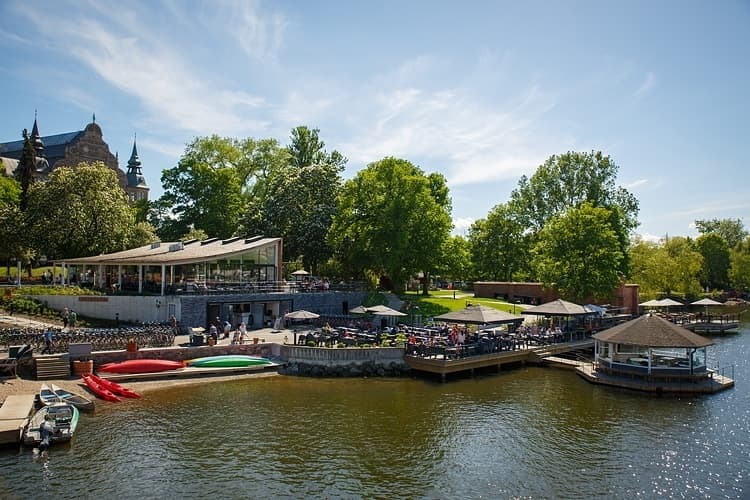 Each year in May the outdoor areas and popular summer terraces open in Berzelii Park. 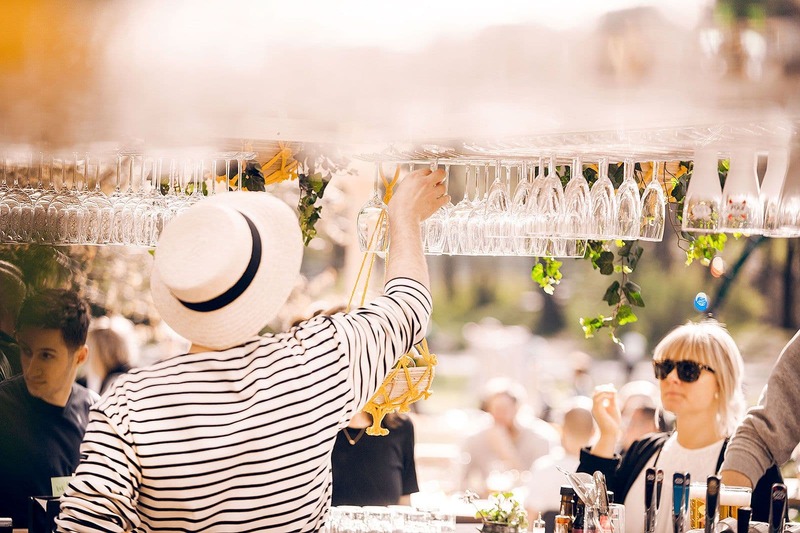 You can eat Asian food at Berns Asiatiska, French classics at Berns Bistro, have a glass of wine in the shade or go for a entire night out. 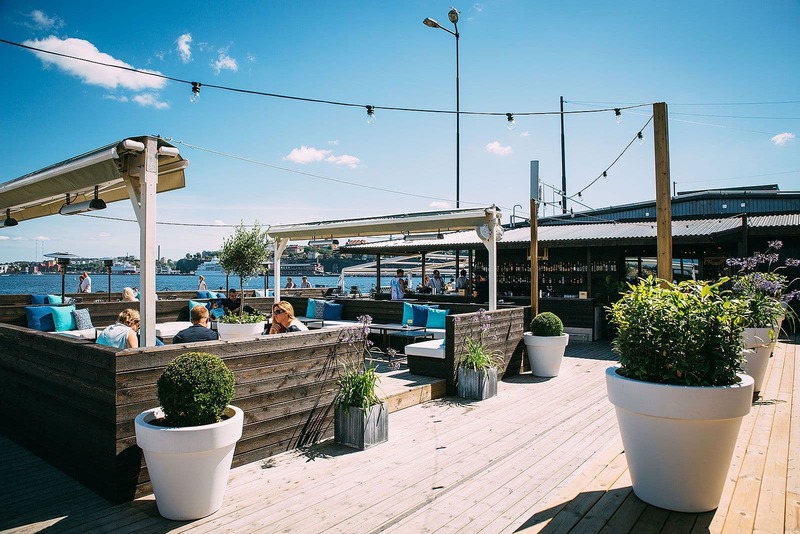 At this waterside outdoor drinking and dining spot in Hornstull you can drink the Caribbean beer, Carib, which Loopen imports. Or try out their special cocktail, a Loop de Loop, which is rum-based and is said to beat a caiprinha by miles. 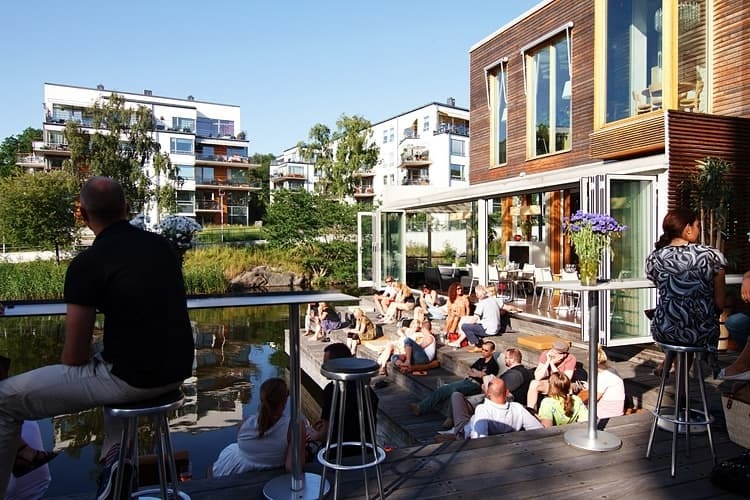 With its laid-back atmosphere, Loopen is a great place to hang out and drink on a sunny afternoon. 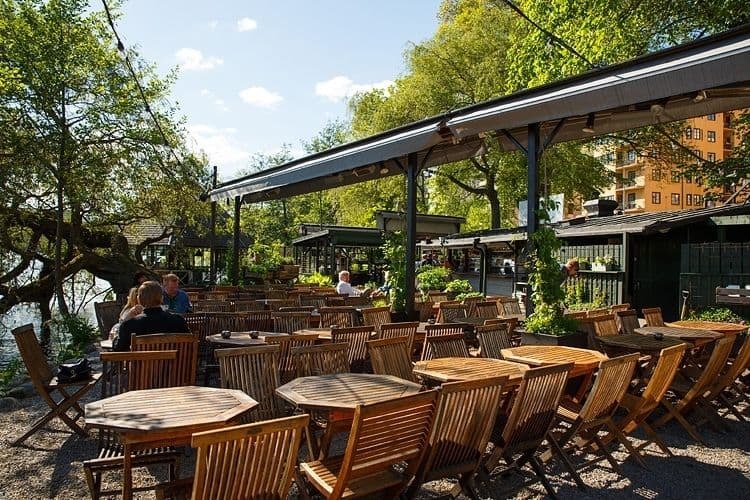 Trädgården ('The Garden') which is located under Skanstullsbron bridge, is a must for anyone who wants to experience Södermalm nightlife in the summer. 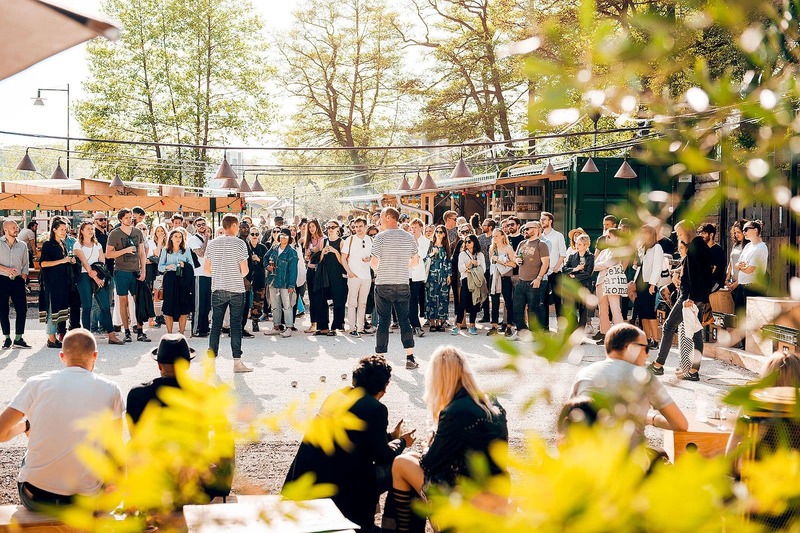 You can drink beer, eat, bag a flea market bargain, go to daytime live performances and dance the night away. Always popular. 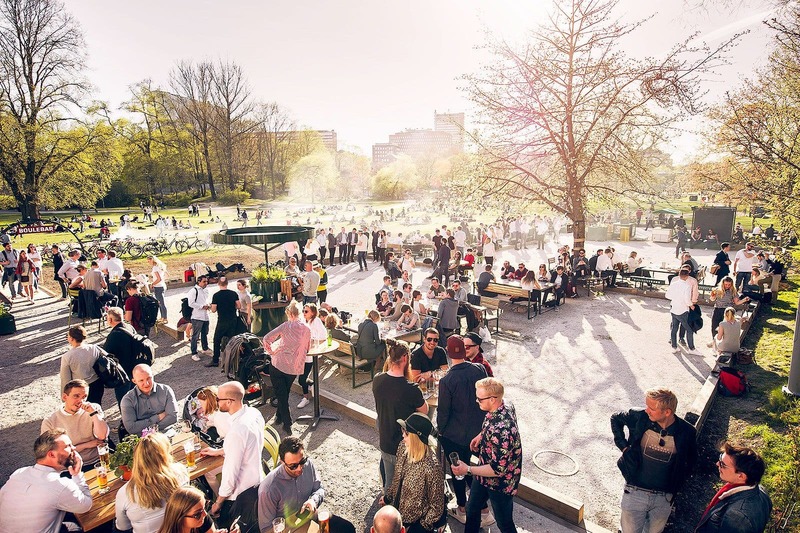 When the al fresco dining spots around Medborgarplatsen fill with city dwellers thirsty for sun and beer, it's a sure sign spring has arrived. Snaps is extra popular and attracts a motley crew who flock under the heaters or, even better, under the parasols. 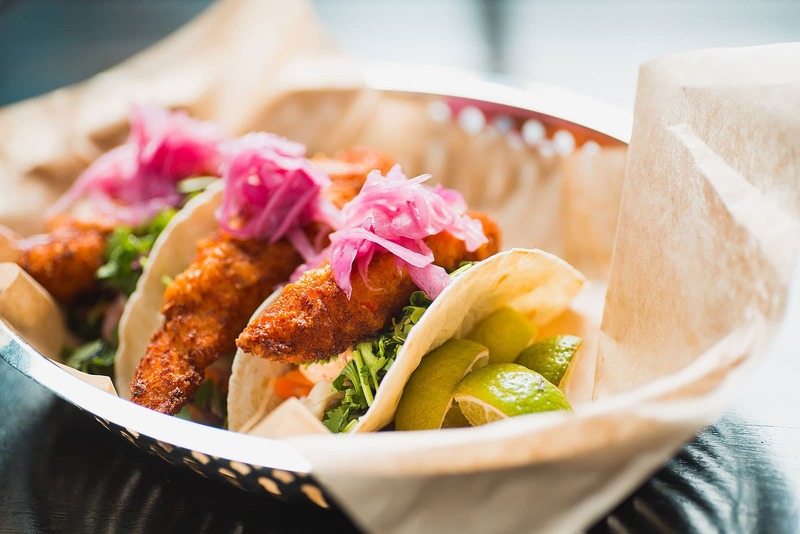 As well as a beer or a cocktail, you can also get something simple to eat. 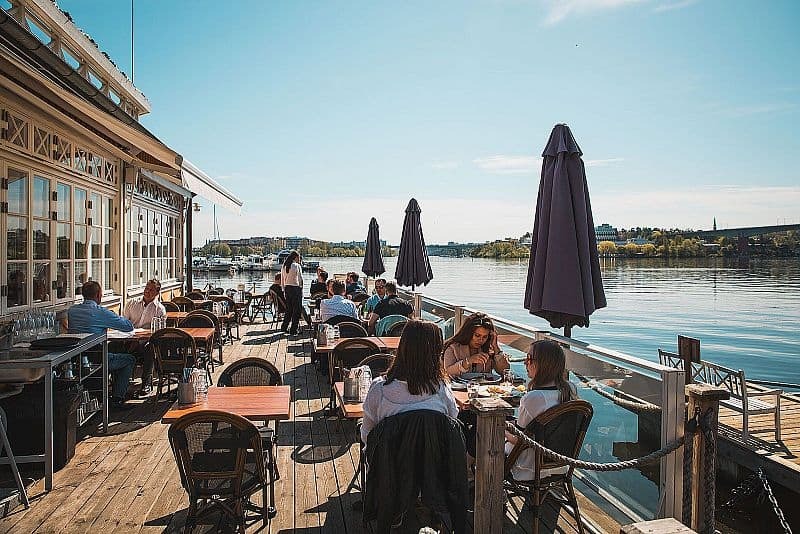 You'll find one of the city's sunniest outdoor eating areas right at the water's edge in Bromma. 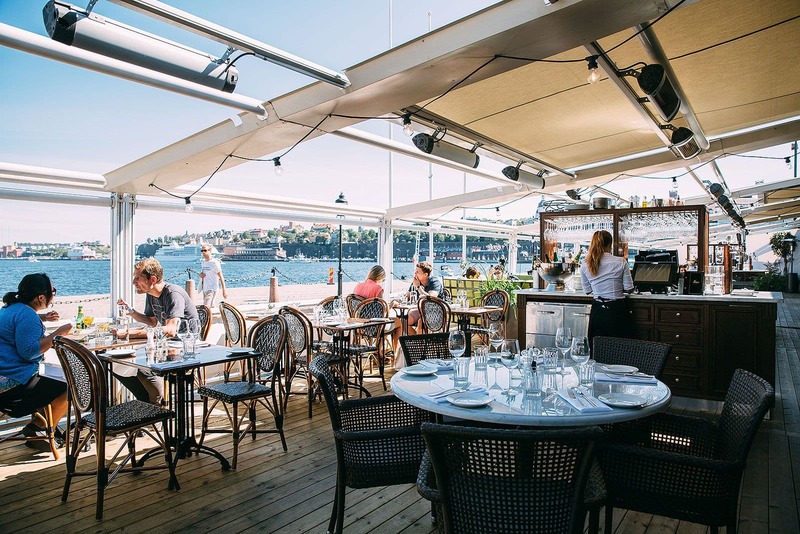 The archipelago-inspired Sjörpaviljongen, with idyllic sea views and its own jetty, serves lunch and dinner in classic Swedish style. In Hammarby sjöstad just outside the city centre, Fred's Kitchen occupies a perfect position right by the harbour. 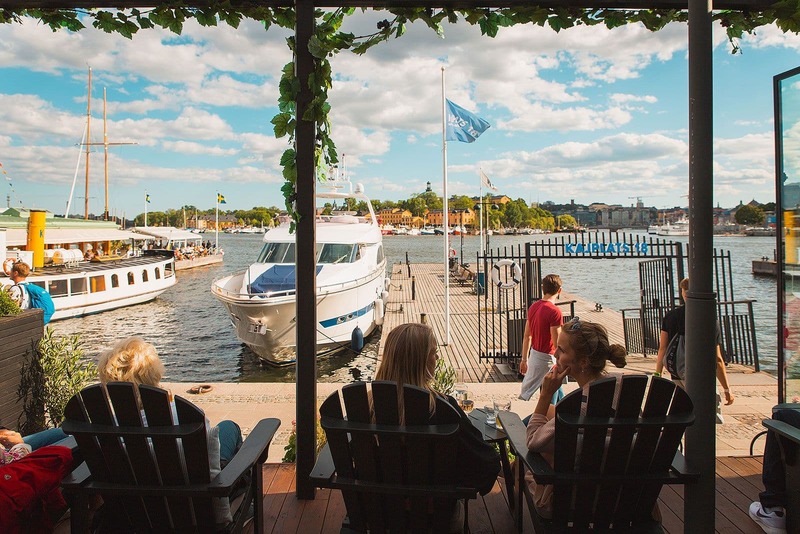 Look out over the water and the boat life while you eat well-cooked, no-frills street food. It doesn't get much more picturesque than this. 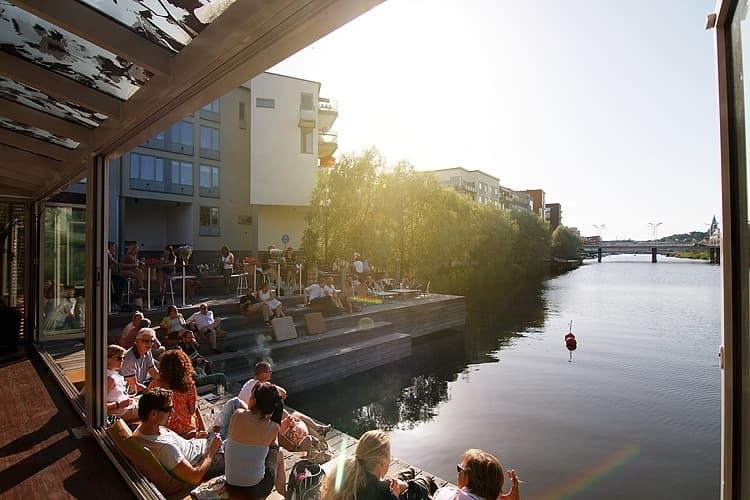 If you fancy a beer in the sunshine, Nya Carnegiebryggeriet in Hammarby sjöstad is the place to go. 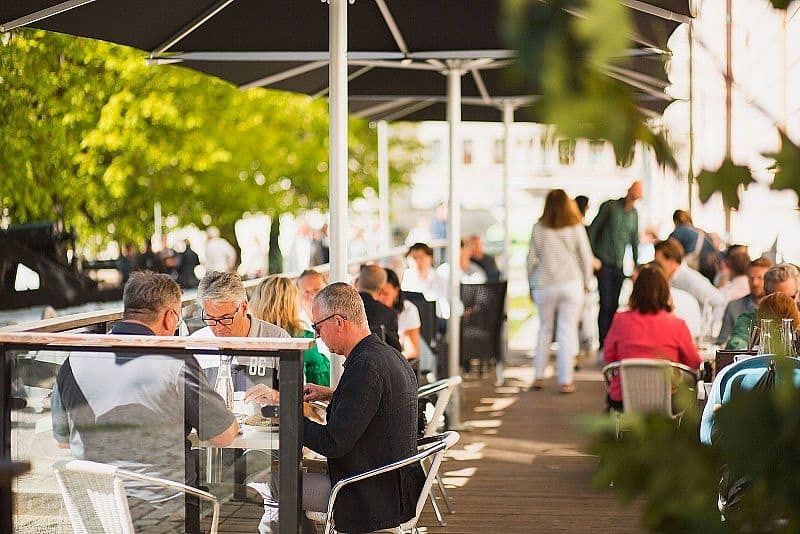 The outdoor terrace is large and sunny and you can pair your drinks with something tasty from the bistro. 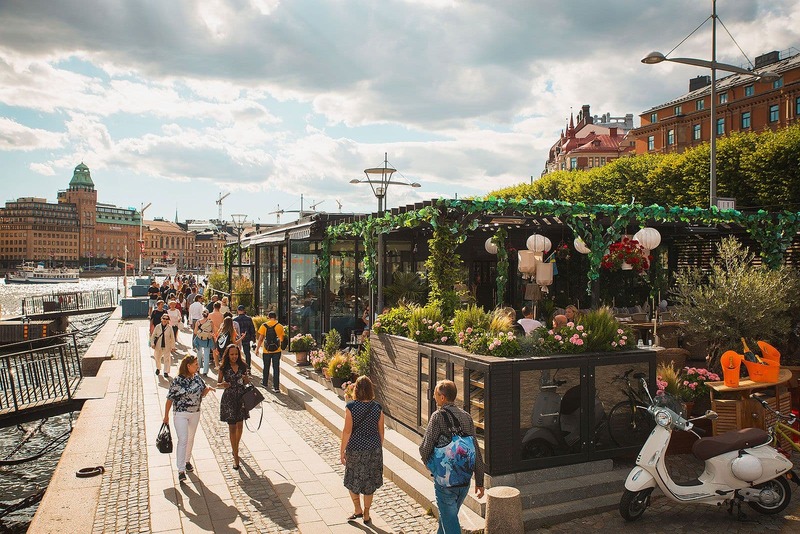 Simply heading down to Kungsträdgården is a great idea if you're looking for al fresco dining, leafy greenness, galleries, and other things to make a sunny summer's day even better. 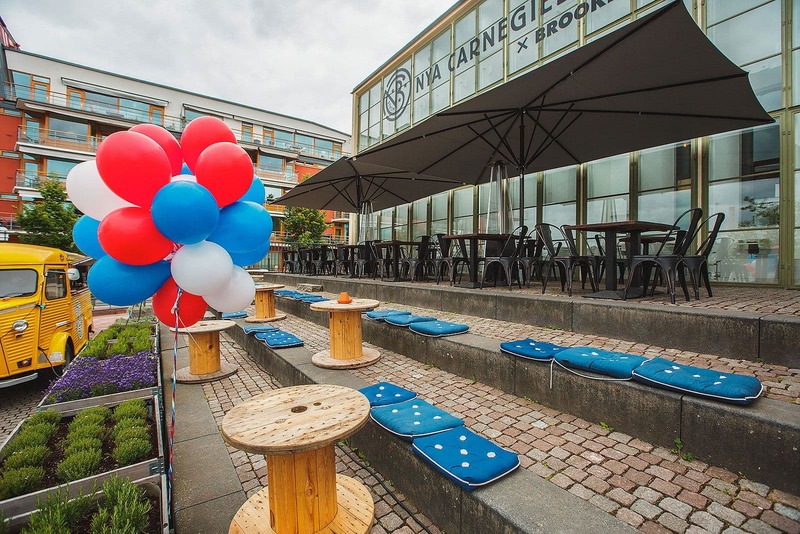 You'll find, among other places, Bar Burger Café, Café Söderberg, So Stockholm Gallery, TGI Fridays, Victoria and Wetterling Gallery. 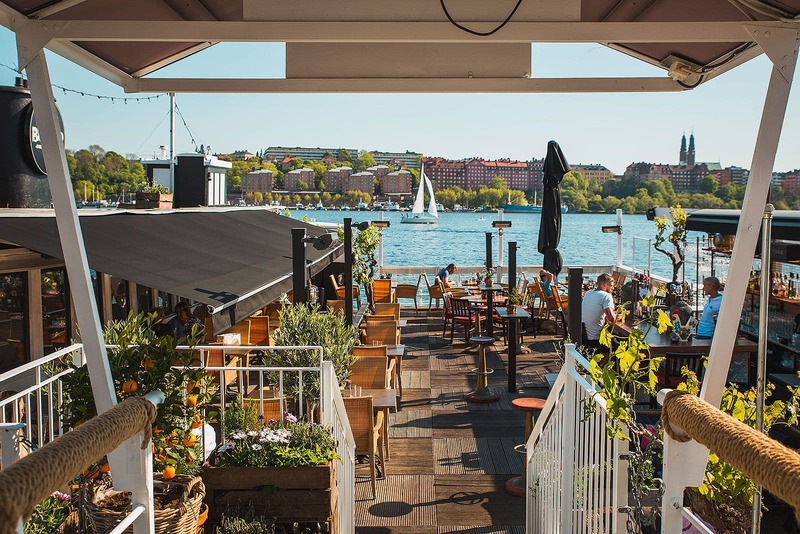 Our guide to the best places to eat and drink outdoors in Stockholm is updated regularly. 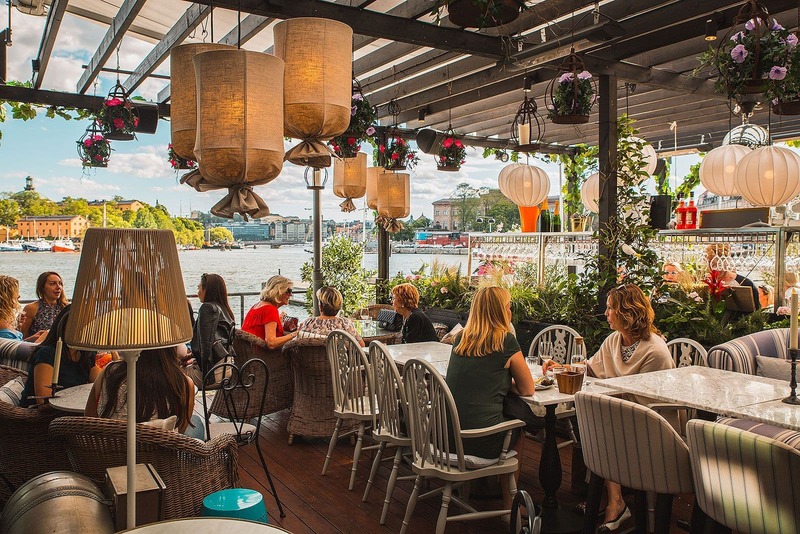 If you know of a great al fresco restaurant or bar in Stockholm that we have not featured in our guide please email us at hello@thatsup.se. 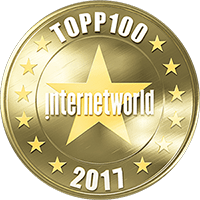 Please also let us know if you find any errors in this guide.